At the beginning of Claire Jensen’s novel, Coffee, a quote is provided from Christopher Robbins’ book, “The Household Herbal,” containing passages about the medicinal virtues of Coffee. Such phrases include: “gives spirits to the body...” and “wonderfully fortifies and strengthens…” The phrases embody and give meaning to Claire Jensen’s magical romantic tale. In Coffee, forty year old Miranda Browning is a single woman with a past of troubled relationships. While working in her garden in England, she discovers a Genie lamp encased in sticky clay. After finishing in the garden she puts the lamp above the water heater to dry the mud out so that she can clean it in the morning. She is woken by a hideous, screeching racket. She runs the lamp outside to the deck and goes in to make some coffee to calm her noise-shattered nerves. The Genie smells the coffee aroma. At the request of the Genie, Miranda pours a bit of coffee into the spout of the lamp. The Genie is revived and introduces himself as Charles Hudson Witherall. Charles leaves the bottle and becomes Miranda’s loyal companion. Miranda and Charles embark on a journey of danger, intrigue, and romance. They become entangled in an international crime ring, the kidnapping of one of Miranda’s closest friends, and dangerous confrontations with her ex husband’s drug associates. Within this magical story, readers will enjoy the trials and tribulations Charles and Miranda encounter. A deep love and respect develop between the two characters. With other colorful characters that include family, friends, and other Genies and their companions, readers will enjoy their love of fine spirits, coffee, and exotic food. The best way to describe the novel is a magical romance rooted in adventure, intrigue, desire, sensuality, love, respect, and faithful companionship. The focus on exotic aromas and spirits heavily symbolizes the strength and development of Miranda and Charles’ relationship. The plot of a woman becoming involved with a dashing and handsome genie is a unique approach to the Romance genre. The symbolism of coffee as a rejuvenator and revitalizing agent strongly symbolizes character development through the senses. Descriptions of settings embroiled in sights, sounds, aromas, and taste, are vivid and add to the romance. Not only coffee, but fine wines and food that excite the palate, and the aromas of calming natural fragrances, are an integral mix with the romantic plot. As a fan of magical stories, I would have liked to have seen more of the Genie’s magical abilities. As well, a few areas of the narrative seemed a bit overly detailed. The story is a charming magical romantic tale of finding love. With such plots as kidnapping, Italian gangsters, and magic of the Genie that includes the use of Ouija boards, the tale is a must read. 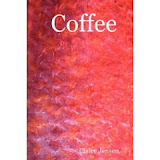 Coffee is a charming story that Romance fans will love. It is a story to be read while curled up by a fire with a glass of wine. It is highly recommended to readers who enjoy the Romance genre. 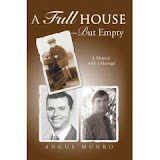 In his autobiography, A Full House – But Empty, author Angus Munro shares his life journey that conveys optimistic and warm messages of strength, resolve, determination, and principle. At the age of three, Munro’s mother leaves his father and family, and his father becomes a single parent. The traumatic experience changes Angus’ life. Living in Vancouver, British Columbia in Canada during the Depression, his childhood is a chronicle of traumatic change, sense of isolation, and added responsibilities to his family. At age fourteen, Angus drops out of school and begins his passage to adulthood. His journey takes him through various parts of Canada where he learns about his family and their values. His story is filled with anecdotes and tales of his work experience that includes working in retail, as a busboy, at a carnival, and on farms. Within his stories, readers experience how the places, people, family, jobs, and co-workers shaped Munro’s work ethic and taught him such values as integrity, dignity, accepting responsibility, and kindness. How his experiences during his youth influence adulthood are highlighted as he draws on his experiences as hindrances and advantages to how he confronts and resolves problems in the work place. Most of his stories come from a lifetime of work experience that included the Oil Industry and Hospital Administration in California and Alaska. From each detailed account, readers will identify with positive messages about obtaining a harmonious and fulfilling life. What is so remarkable is how the stories are so vividly described and detailed. Munro addresses the importance of education to succeed, but there are skills that textbooks cannot demonstrate. Interacting and respecting all coworkers regardless of their position, listening and acknowledging, a willingness to undertake tasks beneath your position, and interacting with staff and clients, are key elements to a successful and productive work life. His stories are about a journey of human communication and how each person he came in contact with positively influenced his life. He embraced their positive attributes and incorporated them into his own life. Many of his anecdotes are comical, particularly the incident where he sent a Valentine card to a Nun and signed a co-workers name. As the book mostly focuses on his work experiences, I would have liked to have learned more about how he coped and drew strength from such tragic losses as the death of significant family members and his divorces. Through his stories, Munro shares a lifetime of experience. A fundamental message readers will take away from his stories: It is true that it is better to give than receive, but more importantly, giving without expecting to receive makes life more enjoyable and rewarding. When you do receive, the experience will be more heartfelt and gratifying. The memory will last forever. 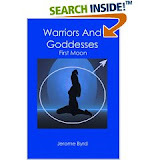 In his book, Warriors and Goddesses: First Moon, author Jerome Byrd takes readers on an adult science fiction journey of action and adventure. Darius Creed, a financially secure young man with a taste for the simple pleasures in life, is abducted by a beautiful and seductive alien that he meets in a restaurant. He is taken to the strange and mysterious planet, Androgynous Prime. Darius discovers he is in an alien world where basic primal instincts are the key to survival. In this unforgiving world, territories are marked by the divisions between men and women Territories, known as polarized regions, are governed and dominated by warrior men and seductive goddesses The polarized regions governed by woman are inhabited by such tribes as the Women of Knives, Women of Prey, The Sensuals…etc. The regions governed by men are inhabited by Male tribes identified as First, Second, Third…Tribes of Men. In this alien world, Darius is given the name Darkasan and embarks on a journey which he believes is to find Diemma, a woman he has romantic feelings toward. On this planet, there is no civility, moral conduct, and ethical laws. Primal instincts and behavior supersede rational thought. Lust, seduction, violence, sexual prowess, Free Will, greed, and revenge as justice, are major themes throughout the story. The quest for absolute power is a fundamental plot among the characters. The story begins with Darius (Darkasan) and his quest to survive the brutal nature of this world, but then branches out to include the stories of a number of brash and intriguing characters as they all journey to a central climatic place known as the Town Meeting. Throughout each character’s dramatic story, readers are taken into a world of brutality, uncontrollable lust, treachery, and remorseless violence. The powerfully described settings of a natural world entwined with unique and colorful alien technology and depictions adds to the story’s intrigue. One noteworthy point is that there is a large period of time between where Darkasan’s journey fades and then reappears. I would have liked to have seen more of Darkasan’s adventures within the story. Warriors And Goddesses is an excellent addition to the Dark Fantasy and Science Fiction genre. The extremely dark depictions make the book more suited for young adults and fans of Dark Science Fiction. It is an entertaining and exciting read from start to finish. In his book, “Just Snap Your Fingers and…Bingo You’re Sober,” author Maurice Murray provides recovering alcoholics with an extensive guide to overcoming alcoholism by tapping into their thought processes and spirituality. The book is peppered with spiritual and philosophical anecdotes intended to provide positive reinforcement and hope. Murray draws on a lifetime of experience to present relevant stories in the form of thoughtful and sometimes comical anecdotes meant to inspire recovering alcoholics to stay on the healing path. With many exercises and assignments, readers will be able to implement the principles as they read. The many spiritual references are more philosophical and positive in nature, rather than in a preaching format. It would have been helpful to have more information in the chapter on self hypnosis, particularly for those who are new to the field. Written from a heartfelt struggle with alcoholism, Murray candidly shares his wisdom on recovering from the disease. I highly recommend Bingo You’re Sober to those seeking clarity, the resolve to recover, and finding peace during a difficult period of one’s life.